Watch Dad and the Dandelions premiere on CBC on Thursday, March 2nd @ 8pm! My current project, Dad and the Dandelions, is an ode to my late, beloved father and the sport we both loved: golf. Presented by the CBC on David Suzuki’s long-running series The Nature of Things and filmed in gorgeous 4K resolution, this project is my most visually-stunning feature to date. Once again, it features me on a worldwide adventure searching for the truth – from sunny San Diego to the sparkling Bahamas to blustery Scotland, I leave no blade of grass unturned. [Nisker] takes us deep into the heart of gum’s darkness and we learn more about it in one hour than one would think was humanly impossible. I like the fact that it was a very funny film about a very serious subject. And I think Andrew was able to put it in a kind of context – the whole question of chewing gum – in a way that seemed funny on the one hand, but gradually got darker and darker, like the title of the film. He’ s a wonderful filmmaker, and I like the fact that he put himself in as the protagonist – we knew where we were all the time because of who Andrew is, and he can play the common man very well, although I think he’s uncommonly good at what he does. Dark Side of the Chew follows me as I travel our planet and speak to gobs of manufacturers, activists and scientists to unravel the entertaining, yet shocking truth behind our obsession with a seemingly innocuous product that is gumming up more than just our environment: chewing gum. 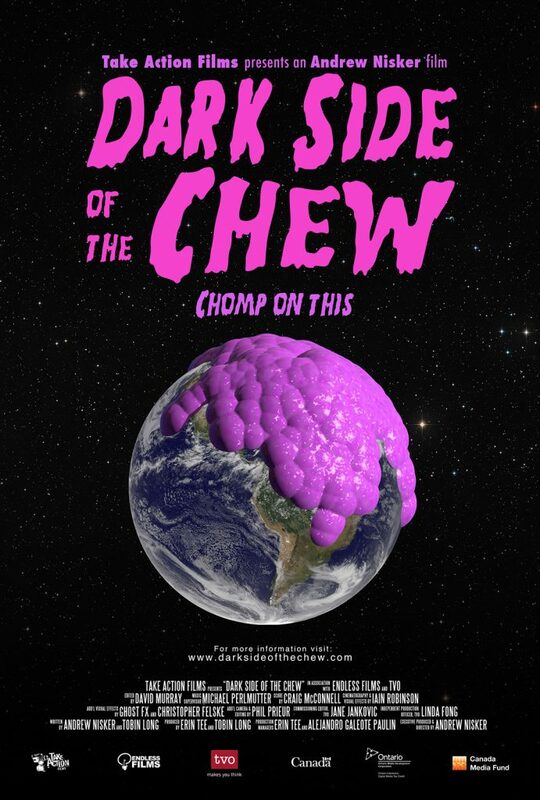 Full of unexpected twists and bubble-bursting surprises, Dark Side of the Chew will give you a lot to chomp on if you’re hooked on this seemingly innocent, age-old habit. I believe that this story will act as a gateway to young minds to enhance their awareness of this seemingly invisible pollution that has an enormous social, environmental, and economic impact. Alongside ESRI Canada, I created an accompanying ‘gum pollution’ app for iOS – Gum Shoe – that will give users the opportunity to quantify gum pollution by simply taking a picture of the gum-strewn sidewalks in their hometown. I’m hoping that the combination of the film and the crowd-sourced gum pollution map will pressure governments, industry, and consumers to tackle the worldwide polluting habits that perpetuate an annual clean-up cost of over one billion dollars. This film … shows our complete ignorance to the detrimental consequences of the mass use of herbicides in the past to the very dark horrors of the souls this chemical has claimed. 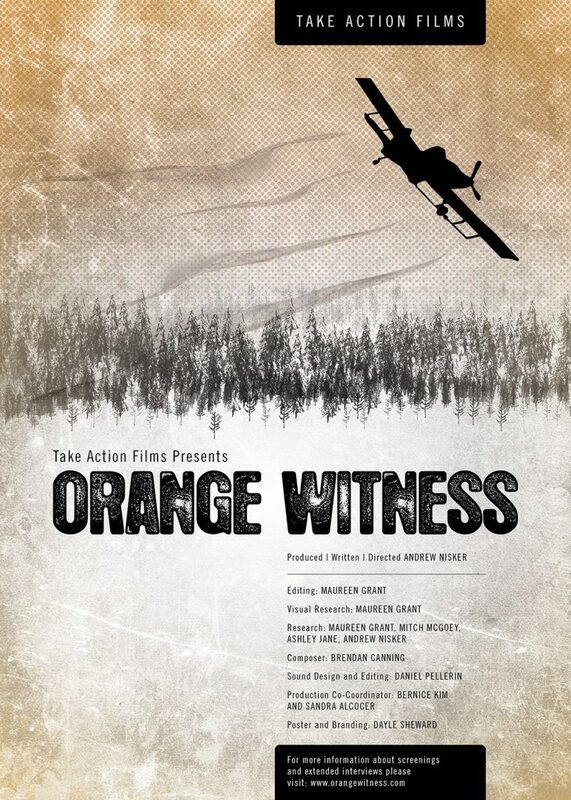 Orange Witness has been seen by over 1 million viewers through broadcasts on CBC DOCUMENTARY CHANNEL and film festival screenings where it garnered two awards in 2013. Through social outreach, Orange Witness is giving voice to the numerous people who have been affected by exposure to Agent Orange at work and home – a number that is still yet to be quantified. Filled with humor, scientific facts and music, makes a profound impact. Andrew Nisker’s perspective gave us a clean escape to a toxic reality. 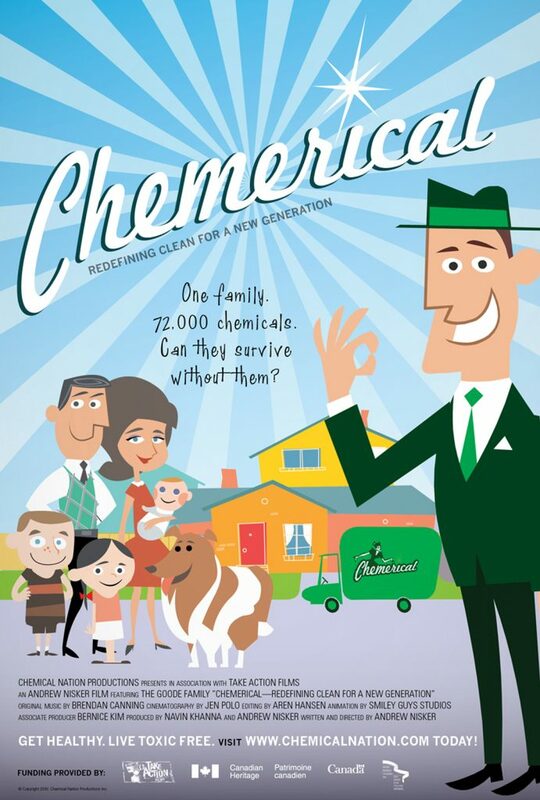 My second film, Chemerical, cast an average family who is asked to take an inventory of their everyday household cleaning agents and personal care products… and replace them with all-natural products! After discovering the unhealthy toxins that lay hidden away in the closets and cupboards of their average suburban home, audiences demanded solutions. So I wrote a simple ‘green clean’ guide – The Chemerical Cookbook – and designed a phone app to empower the consumer to measure the toxicity in their home by simply swiping a product’s bar code with their smart phone. Chemerical has been seen by viewers around the world, and to this day I continue to get emails and letters from people inspired by the movie – constant reminders of why I continue to make films. Its outreach program, as quantified through www.chemicalnation.com, has inspired the removal of over 20,000 toxic cleaning products from homes, hopefully helping to clean up watersheds and creating safer environments for children in their homes and schools. Garbage provides a lot of information, including some facts that may surprise viewers about their effect on the environment and the environment’s effect on them. 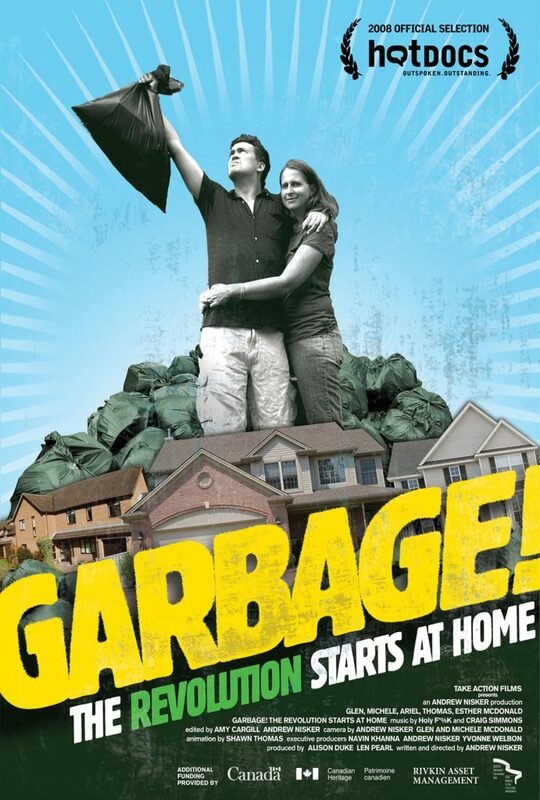 My first film, Garbage! The Revolution Starts At Home, cast an average family and asked them to keep their trash for three – yes, three – whole months, all to get a better idea of how much waste we really do create. Self-funded, the film touched a nerve with international audiences, helping me to break out as a filmmaker and showing that environmental documentaries, especially one about everyday things, were really something people were interested in. Since its release, I’ve seen thousands of students and their teachers put on their own version of the challenge seen in the film – whether at home, in the classroom, or across their entire school. The film’s message even got the attention of some pretty major companies like Walmart, Tim Hortons, and McDonald’s, who approached me to host screenings for employees and inspire them to create waste reduction programs at work and home. © 2019 Andrew Nisker - All rights reserved. | Built by Do That Digital.